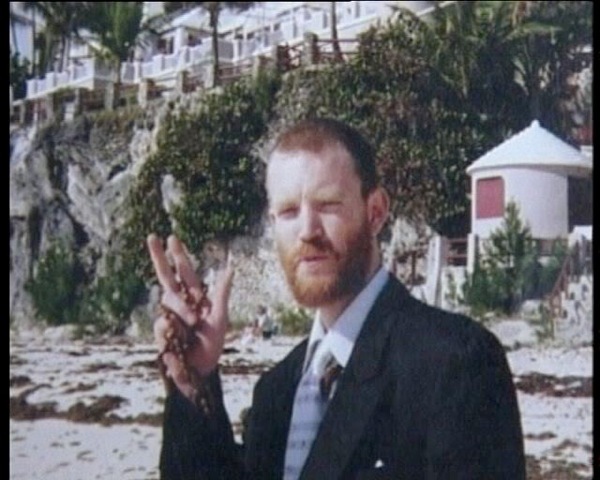 Tom Moore, who went missing in 2003, his family is now renewing the search to find him. July 17 2003, Ancona, northern Italy. 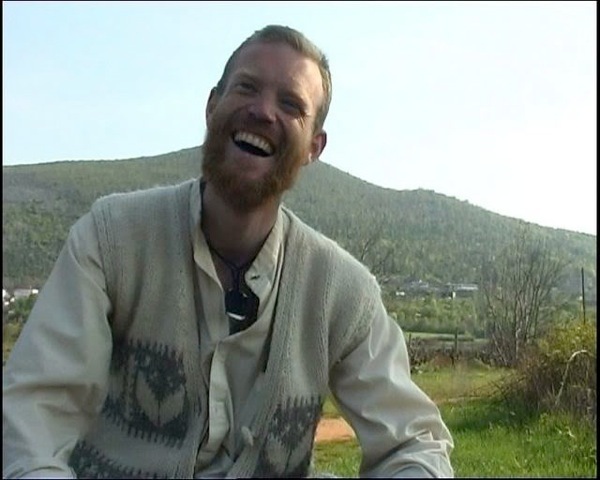 A 31-year-old Englishman withdraws 150 Euros from a cash point. This everyday event just over a decade ago has huge significance for the Moore family because it was the last financial transaction Tom Moore is known to have made; the last sign his parents and siblings have that he was still alive. Tom has not been seen or heard or from since. Next week, Tom’s brother Ben is renewing the search for his sibling with an art exhibition featuring high profile artists as well as rising stars of the art world. The aim is to raise both awareness and funds to mark the tenth year since Tom’s disappearance. 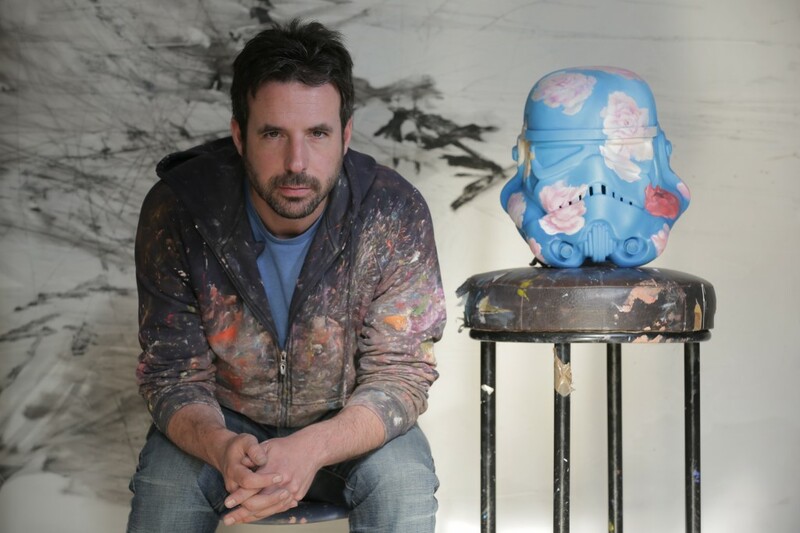 Proceeds from Art Wars, a collection of Star Wars stormtrooper helmets transformed by internationally-renowned artists, will be auctioned for the Missing Tom fund. 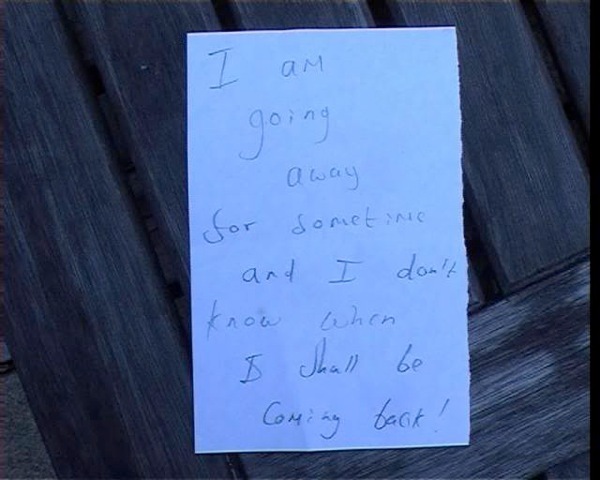 A note written by Tom Moore before he went missing. Ben, founder of public art enterprise Art Below, has collaborated with Andrew Ainsworth, creator of the original 1976 stormtrooper helmet, to produce the show. Art Wars launches at the inaugural Strarta Art Fair at the Saatchi Gallery next Wednesday (October 9), with works showcased via a series of billboard posters at Regent’s Park underground, coinciding with Frieze London. 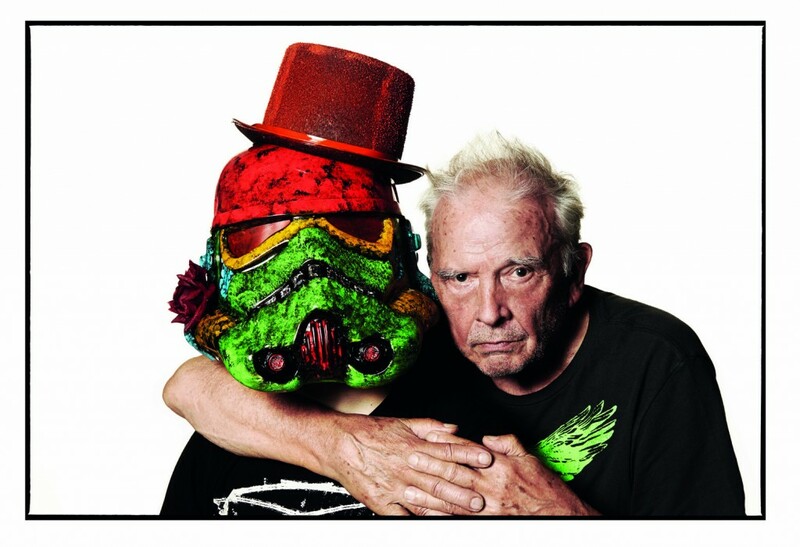 Artists, all of whom were issued with a helmet cast from the original 1976 moulds, include Damien Hirst, Jake and Dinos Chapman, Paul Fryer, Mat Collishaw and David Bailey. Other participants are English multimedia street artist D*Face, Portuguese artist Joana Vasconcelos, Turner prize nominee Yinka Shonibare, street artist Inkie, Mr.BrainWash, East London’s Alphabet Street creator Ben Eine, BP Portrait Award winner Antony Micallef and upcoming star Oliver Clegg. The money raised from Art Wars will enable the family to travel in the search and to publicise their efforts to find Tom. Ben also hopes to bring attention to the Missing People charity, which has supported his family. There is also a new website Missing Tom to help locate the now 41-year-old. Tom was, by all accounts, a genial child (“Tom was blonde, small for his age, good-looking, with a quirky sense of humour, a born actor, musical…with his beaming smile and his floppy fringe. He was thoughtful, kind and never hurt a soul”, writes Diana) but he found it tough at his all-boys school. The following few years sound like a fragile mixture of travels, doctors and medication, with Tom’s family struggling to find the right balance between supporting their son’s desire for freedom and realising that medication might help bring some stability to his mental health, the “daily dark thoughts” which Diana describes on the website. Ben spent the three years following his brother’s disappearance looking for him, visiting well known religious sites across Europe knowing of his brother’s interest in religion, and following various trails (like the cash point transaction). At one point, he says, he was only two weeks behind him, but the demands of work and his own young family meant he eventually had to put the search on hold. * FInd out more on the Art Wars website and more about the Moore family’s search for Tom on the Missing Tom website.